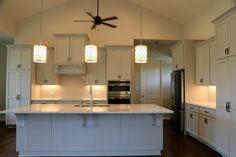 When it comes to constructing a quality custom home in Johnson City, Brad Moore Builders has over 40 years of combined experience building in the Central Texas area, including beautiful Hill Country towns like Johnson City. 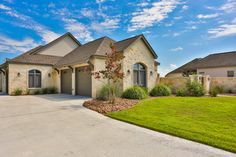 Johnson City has an ideal location in the heart of Central Texas. Johnson City was not always a town. In fact, it began as Johnson Ranch, which was located at an important crossroads. Nearby McCarty Springs was a popular resting spot for travelers. With a nearby spring and natural crossroads nearby, this area became a natural stopping place for passersby. There were many ranch stations owned by the Johnson family. However, they sold out all their ranch portions to their kin, James Polk Johnson. The nearest town amenities were located at least 14 miles away, and there was the threat of Indians. Therefore, in 1879, citizens around the area opted to begin the formations of a town. After a vote, a section of land near the Pedernales River was chosen after it was donated by James Polk Johnson. Thus, the new town was dubbed Johnson City. Even though Johnson City is quite small, it is well known throughout Texas, primarily for being the home of former President Lyndon B. Johnson and wife Lady Bird Johnson. 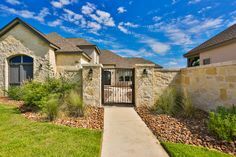 It contains a beautiful and historical downtown area, and it is only a short drive away from Hamilton Pool Preserve, historical Fredericksburg, and the state capitol of Austin. 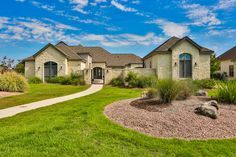 Many homeowners choose Johnson City to build their permanent, custom home because of its proximity to so many historical Texas landmarks and cities. 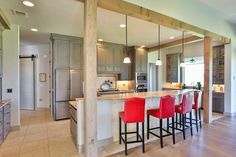 If you, or someone you know, are planning on building a custom home in Johnson City, Brad Moore Builders knows the area, the best construction sites, and the primary building locations. 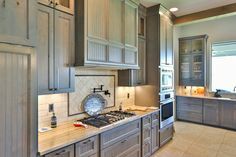 When searching for a custom home builder in Johnson City, look for a builder that offers unparalleled craftsmanship, quality materials, and completes your dream house in a timely manner. Brad Moore Builders builds by these guidelines. 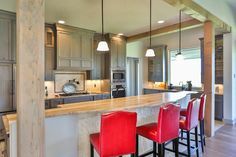 No matter where in Johnson City your custom home is being built, we promise to match each and every custom residence to the quaint, Johnson City backdrop by providing a beautiful, unique custom home with all of the necessities of a modern household. 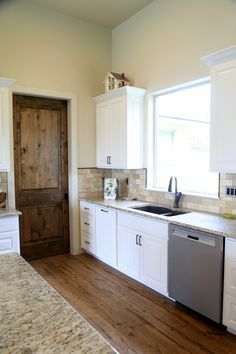 After building so many custom homes in Johnson City, Brad Moore Builders understands the need to make your residence a place you can call your own. Don’t be shy about your desires and design ideas when it comes to your dream home! 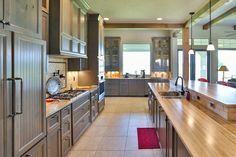 We want to ensure that your Johnson City Custom Home reflects you, is beautiful and unique, and will withstand the test of time. Let Brad Moore Builders construct a home that is an inviting space for family and friends to relax after spending a day in Fredericksburg, hiking at enchanted rock, or visiting one of Austin’s many museums! When it comes to your perfect residence, just sit back, relax, and let Brad Moore Builders take care of the details! For a glimpse into just a few of the custom homes Brad Moore Builders has constructed over the years, please visit our online portfolio. Are you ready begin designing and building your dream home? Set up a no obligation initial consultation by calling (830) 438-3240 or filling out our online contact form!